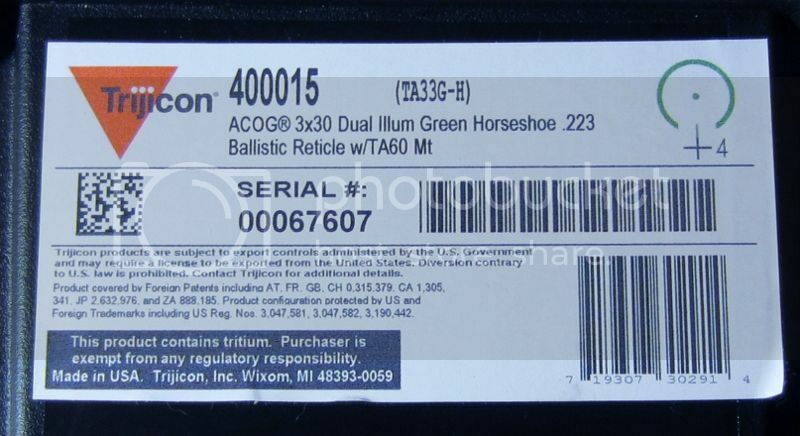 [ARCHIVED THREAD] - LNIB Trijicon ACOG TA33G-H with all original accessories. $850 shipped. 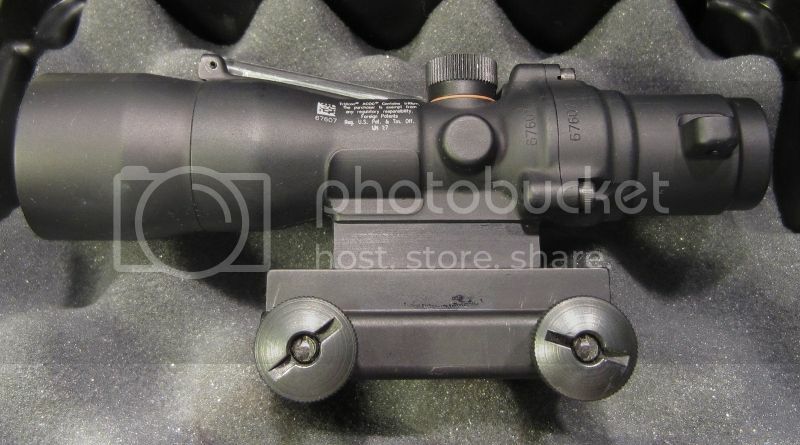 Impulse purchased this last month and now need the money more than another optic so I'm selling it. 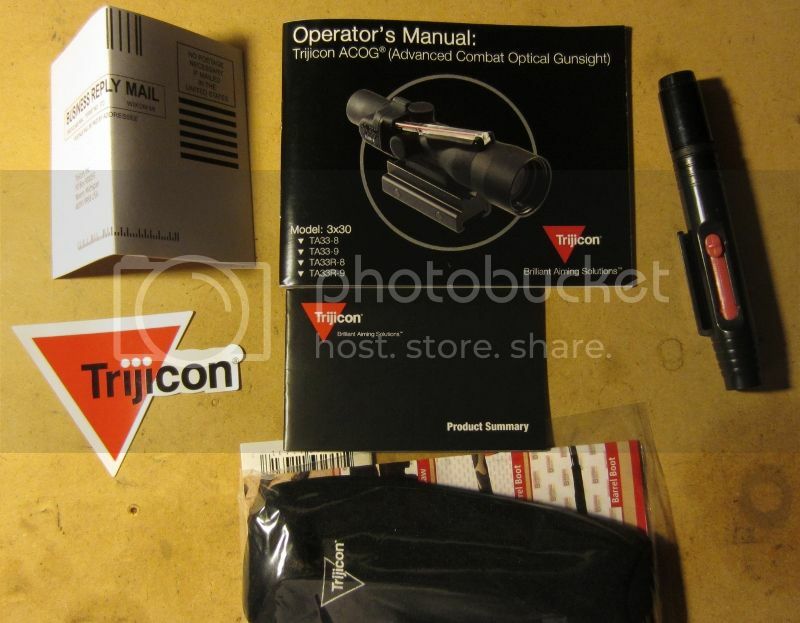 The ACOG is like new in the box with all the original accessories to include case, unfilled warranty registration card, sticker, scopecoat still in packaging, lenspen, owners manual, and product brochure. I took it to the range once to zero it and my mother used it for deer hunting from her fully enclosed stand. Minor handling marks with the only real issue being some minor nicks to the knurling on the top turret cover as shown in the photo. Price is $850 shipped CONUS priority mail, Insurance is at the purchasers discretion and would be $5 extra. Payment via certified funds or other methods such as Paypal or bitcoin by arrangement. Any questions or inquiries please use the site IM system. Thanks.